The 2018 Youth Cancer Baseball Tour went to 15 cities and took over 500 kids/families fighting childhood cancer to see 19 MLB Games ! In 2019 not only do we want to go too all 30 MLB Parks but we want to shot film for a documentray to be premiered during All - Star week in 2020 in Los Angeles ! 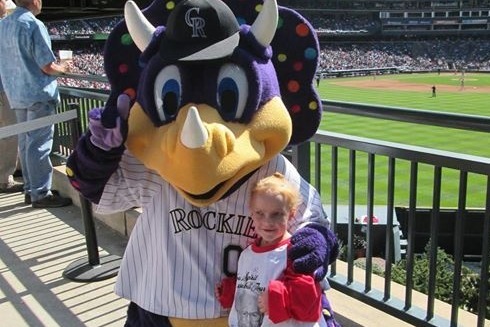 The goal this year is $25,000 to continue to take 20-50 kids/families fighting childhood cancer to MLB Games donations go towards money for parking , food , gas & a gift for the families while at the games so there is no out of pocket for the families and they can create life long family memories at an MLB Game . Being at a game also provides a family a day away from hospital visits , doctor appointments & chemo/radiation treatments ! Donations will also help us in producing and flimming a documentray on our families & our story helping raise awearness on the the childhood cancer community! Since our start in 2010 we have taken 2236 kids/families to MLB Games ! Creating a family of kids with cancer that love going to & seeing there MLB teams & stars play ! We thank God everyday for our supports in the past and pray that you will join us again in 2019 and tell your friends about us , help our support in 2019 grow bigger ! To our families & our supports has Uncle Frank would say to us Thumbs Up in 2019 !